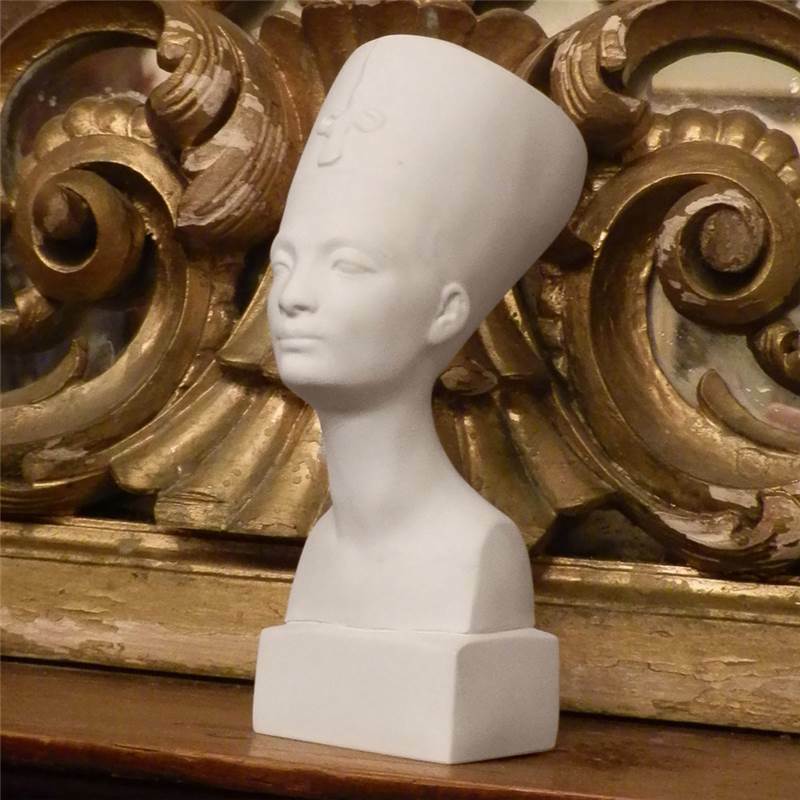 Nefertiti Model or Plaquein hand made in fine gypsum plaster. that can be seen in the Egyptian Museum in Berlin. This piece is made from British gypsum plaster, whereas the original is made from limestone and stucco and is beautifully painted. 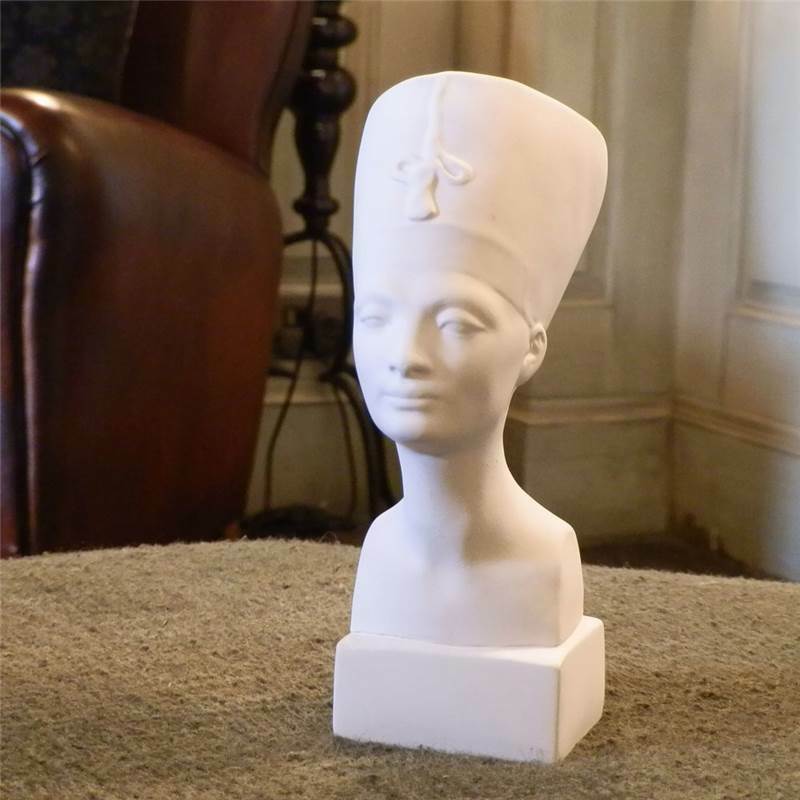 The original bust was created by the sculptor Thutmose around 1,345BC, and was discovered by the German archaeologist, Ludwig Borchardt in 1912 in Amarna, Egypt. 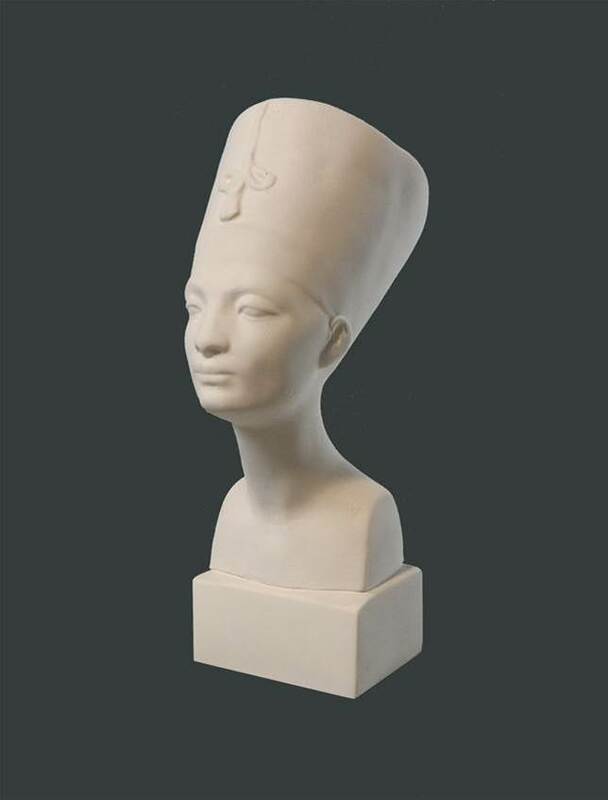 Nefetiti who lived from c.1370 to c.1330 BC.was the Chief Royal wife of the Egyptian Pharaoh Akhenaten, the famous heretic king who moved the capital of the royal family from Thebes to Amarna and worshiped the sun god Aten (Aton). Akhenaten, and Nefertiti, had six children; Meretaten, Mekeaten, Ankhesenpaaten, Neferneferuaten Tasherit: Neferneferure and, Setepenre.